Megapixel cameras are higher definition which is applicable, and sometimes even necessary, depending on the security situation. When it comes to cameras, bigger doesn’t always mean better—though larger sized images can certainly come along with plenty of benefits. Megapixel or HD cameras are often an affordable option for replacing legacy cameras while cashing in on plenty of benefits. Thanks to improved resolution, megapixel cameras allow security personnel to zoom in on specific details of an image. If security is a serious concern for you, it may be worth it to consider investing in megapixel cameras for your facility. Images are made up of hundreds, thousands, or even millions of tiny little “dots,” which are pieced together in any digital image. Megapixel refers to a million pixels, so a 5-megapixel image would thus contain 5 million pixels. Typically, when we talk about high-definition, we shoot for 1,920 pixels by 1,080 pixels or 1080p. This results in an image that’s a bit over 2 million pixels, or 2 megapixels. 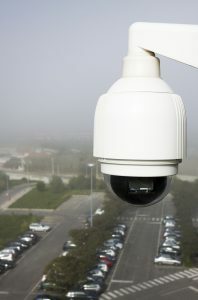 There are cameras that can do even higher than that, such as 12 megapixel CCTV cameras. If you have owned a smartphone over the last 10 years and have upgraded along the way, you can see the difference in the images you take with your phone, especially when you pinch and zoom in on the image. The more the megapixels, the better quality when zooming into the image. What Benefits Do Megapixel Cameras Offer? There are additional benefits to opt for megapixel cameras. Megapixel cameras with a resolution higher than 1,920 by 1,080 can cover larger areas and make sense depending on the space you’re trying to monitor. Even regular HD cameras are able to offer a better picture of what’s going on at an affordable price. Typical HD cameras—1 and 2 megapixel cameras—are also able to be watched at a full frame rate of 30 frames per second, meaning you’re able to watch action happen fluidly and clearly as opposed to fuzzy and jerky images. In any large, wide area, such as within a warehouse or in a sports stadium, commercial megapixel cameras can have a ton of added benefits. Coverage in parking lots can enhance security and even provide the ability to read license plates. Traditional, older CCTV cameras just can’t provide the same image quality. Playback will include much more detail and, if accuracy is your concern, megapixel cameras are the best option out there. This entry was posted on Friday, January 19th, 2018	at 11:03 am	. You can follow any responses to this entry through the RSS 2.0 feed. Both comments and pings are currently closed.